When the first Avengers movie came out three years ago, I was in the midst of a boycott of all things Marvel following Spider-Man: One More Day. I relented only because of my love of Joss Whedon's writing. Afterward, I agreed to limit my boycott to Spider-Man related materials, since it wasn't fair for me to punish myself by avoiding the works of creators I liked in the name of proving a point against a single publisher. I mention this because the thing that astonished me most about The Avengers was how accessible it was. Despite my not having seen Thor, Captain America: The First Avenger or anything after the first Iron Man movie, I was still able to follow the plot without any issues. Whedon took care to introduce all the players and relate all the information we needed quickly and subtly. Age of Ultron doesn't manage the same feat. How can it?! 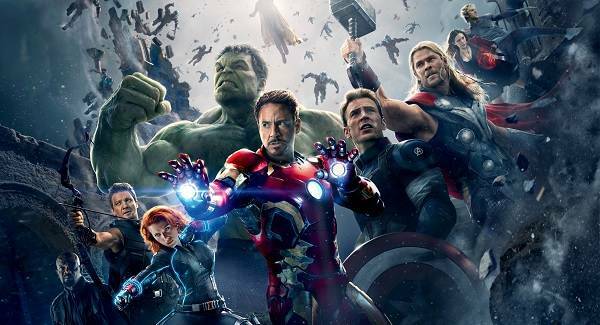 At this point, The Marvel Cinematic Universe is fast becoming as complex as the comic books that inspired it and to miss one movie is to lose a piece of the puzzle. In this respect, it is a weaker film than its predecessor because it cannot stand on its own merits. That being said, it does have a lot of merits and the good far outweighs the bad. In fact, I'd say it does improve upon the first film in one respect by giving Hawkeye and Black Widow some much needed definition. Ironically, the newer heroes don't get that much development in comparison but that may be rectified by the longer director's-cut that has already been promised for the Blu-Ray release. This is a Joss Whedon movie, so you should all know what to expect: witty dialogue and lots of humor amidst the action. Unfortunately, a lot of the best moments have already been spoiled by the trailers but there are some good moments that aren't. One of these involves the greatest Stan Lee cameo yet and I shan't say a word beyond that. Well, I will say one thing. There is a mid-credits scene to wait around for. There isn't anything at the end of the credits, apart from a note that The Avengers Will Return. In the end, the best thing I can say about Age of Ultron is this. I had a royally bad day before I went into the movie theater. Two hours later, I had forgotten my troubles. And once I remembered them on the drive home they didn't seem quite so worrisome. This movie lightened my heart at a time when I needed a pick me up. And when you get right down to it, isn't that the mark of all good escapist fiction? I think it is. And Age of Ultron is very good escapist fiction.